High-quality protein supplement, whose primary task is to restore the ability of anabolic maintaining a positive nitrogen balance in the body, and thus faster protein synthesis. 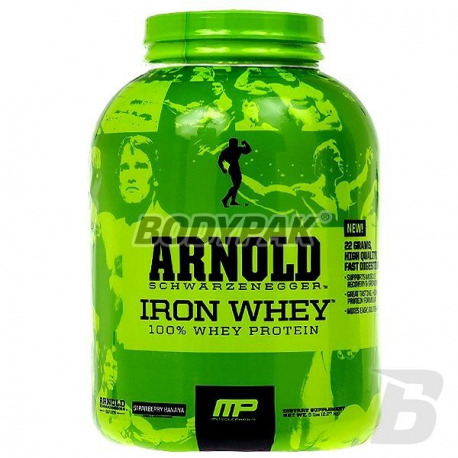 All these activities are responsible for the development of muscle mass, which, thanks to a series of products Arnold, can be really delicious. If you ever dreamed about bodybuilding appearance, it is now your dreams have a chance to materialize! Check the latest product offered by seven-time Mr. Olympia, see that your body can achieve incredible results. 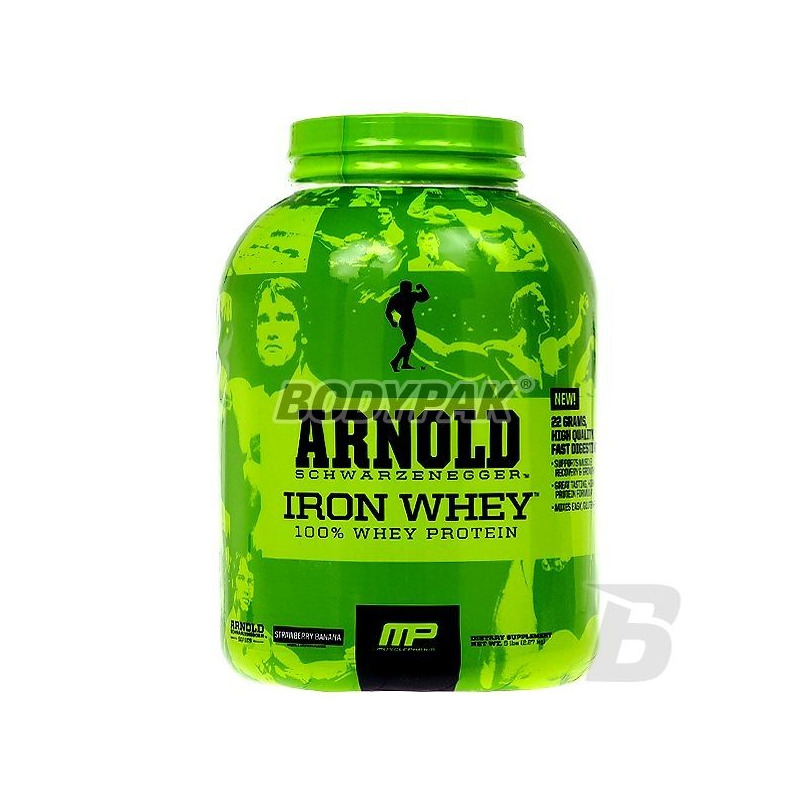 In addition, Arnold Iron Whey promotes regeneration capabilities and accelerates the rebuilding of muscle fibers. Thanks to shorten recovery time, so you'll be quickly ready for increased physical activity. One serving of the product provides the highest quality hydrolyzate, isolate and whey protein concentrate. Other ingredients: 100% blend of whey protein (whey protein concentrate, whey protein isolate, hydrolyzed whey protein), L-leucine, L-taurine, L-glycine, L-isoleucine, L-valine, l-glutamine, natural and artificial flavors, dust cakes [no gluten], sea salt, xanthan gum, acesulfame K, flaxseed, guar gum, cellulose gum, lactase.